After gaining her A-Levels at Brockenhurst College, Helen spent many years working within the Equine industry. 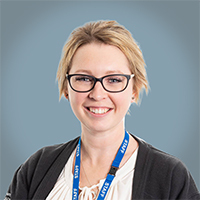 In 2017, Helen joined the Admin team at SCVS in the Claims department. She was promoted to Claims Team Leader having been responsible for building the team from scratch. Outside of work, Helen’s interests lie in horseracing, and also in promoting the ways of the New Forest in her role as Secretary of the New Forest Young Commoners Committee.